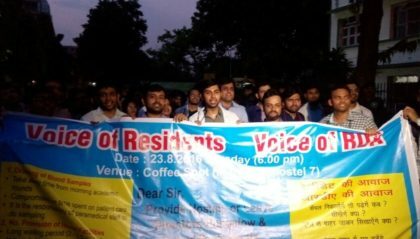 Scores of resident doctors at the AIIMS here today held a protest on the campus over their demands including those related to working hours and hostel facilities, and threatened to intensify their stir from Friday if these are not addressed. Carrying placards and raising slogans like 'Heal the Healers', they took out a march from the coffee shop to the bungalow of the institute's director. "We have three pending issues, drawing of blood samples, which has been a nagging matter for long time. Drawing samples is the work of trained technicians and not doctors, and since we are also asked to prepare vials and barcode them, it leaves us with little time to attend to patients," General Secretary, Residents Doctors' Association, Dr Harjit Singh Bhatti said. The other issues include additional hostels for resident doctors and fixing of duty hours, he said. "Our hostels, we were told were supposed to be completed over two years ago, but the construction is still pending. Also, our working hours have not been fixed. So, these three major issues should be addressed by the authorities, otherwise protests would continue," he said. 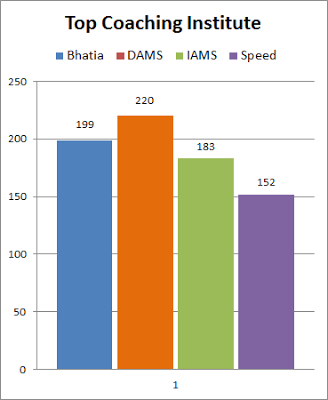 The AIIMS campus has about 1,500 resident doctors and the premier institute gets a huge rush of patients, both in the Out-patients Department (OPD) as well as the Emergency Department. "We met the AIIMS Director and the Deputy Director Administration and both have assured that our issues would be addressed. "They have given us a few verbal assurances that vial preparations would be done by the staff and we would be drawing blood samples only till the next two months, as technicians would be hired for the same by that time," he claimed. "We have asked for that assurance in writing in the next few days, failing which from Friday, we would intensify the stir," he said. Also, if our hostels are not built by November 30, we will launch an indefinite strike over that issue from that time onwards, he said.